Welcome to The Verona! This floor plan has 2,335 finished square feet on the main level. Scheduled for completion - Spring of 2018 Featuring an open floor plan with an oversized wrap around deck making it possible to enjoy the best in outdoor living. The main level has a luxurious master suite with master bath and walk-in closet with access to the laundry and utility room, office with private courtyard view, great room, kitchen concept, and an abundant amount of glass to take advantage of the Dakota Hogback views. The lower level walkout basement is perfect for entertaining with wet bar, optional wine room, 2 additional full suites, and an over sized covered patio with private gas fireplace. Not a detail missed in the design of this home with an expected delivery date of late Spring 2018. 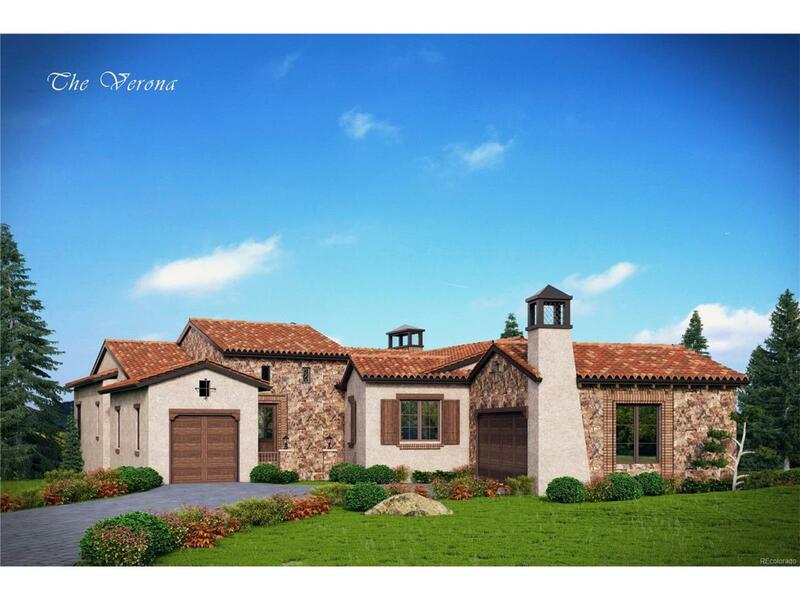 Photographs are a mix of renderings and similar finished projects within the Terracina Collection. Visit Ravenna Sales office for further details.